B2B exhibitions were over 40% of B2B marketing budgets last year, the largest compared to any other marketing channel. The proven efficacy of tradeshow and exhibits has caused the industry to grow rapidly. Exhibit and tradeshow vendors face stiff competition and need to rely on the most cutting edge technology to stay relevant and succeed against competition. Spintouch is at the forefront of interactive application development, trusted by industry leaders such as Cisco’s top distributor of the year, Comstor’s booth. The Comstor solution was developed by Spintouch and integrates a smart booth experience with augmented reality and touch tables. Touch based product showcases such as Comstor are proven to generate warm leads. The team at Spintouch leverages an expertise in user engagement and advanced analytics tracking to create a booth experience that brings an unparalleled level of product/solution engagement and lead capture. Spintouch produces proven results. Interactive learning is a no brainer—If your goal as an exhibitor is high engagement and high retention, then nothing beats hands on “touch” driven interactive learning. Surprisingly, up until recently there were virtually zero interactive applications on the market that would allow exhibitors to easily convert standard print brochures or websites into a content driven interactive storytelling experience that users would actually enjoy engaging with. When we say “easily” we mean no custom programming, minimal design required, and absolutely no headaches! This seamless experience is delivered through our flagship interactive touch based application, myShowcase™. 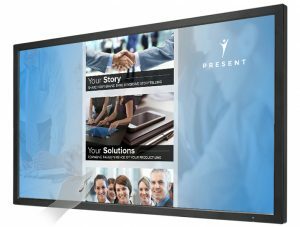 myShowcase™ is the answer for those exhibitors looking to tell a brand, product, or solution story through full HD picture, video, and text content. All digital content is neatly organized through a pre-designed and templated user interface. Organizing content with our intuitive layer by layer tree map offer users a great experience discovering content they are truly interested in. One of the most powerful features that exhibitors tell us they love using is the integrated myShowcase share feature. The share feature allows attendees to easily grab content from the presentation while emailing it to themselves to learn more post-event when they are better prepared to consume the information. I think that we can all appreciate this seeing that tradeshows are the most hectic and busy 8 hours of our lives! This is why we urge our exhibiting clients to create digital content (video, pictures, or infographics) that also doubles as compelling sales/marketing collateral. While being able to easily share your products or solutions through an interactive experience sounds great but that is actually just the beginning. 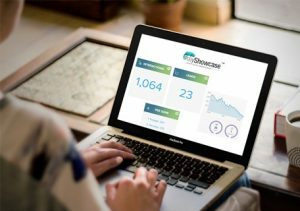 With our myShowcase lead gen and analytics features, following an event, exhibitors are provided a list of all attendees that shared content with themselves (name, phone number, company, email, etc.). Evaluating the specific content that was shared allows for a well prepared follow up that attendees appreciate. Engaged attendees become warm prospects which in turn create more opportunities and measurable event ROI! 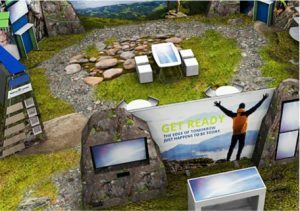 An overreaching goal for exhibit companies should be to create an in-booth experience that benefits both the exhibitor and the attendee. Using bleeding edge interactive solutions like myShowcase offers attendees (potential customers) a discovery driven hands on experience that does not come off as “salesy”. We see many cases where a prospect divulges information during their interactive experience without a sales representative present, stirring up new opportunities immediately. Attendees visiting 100+ booths in an 8-hour period have low attention spans and they must be compelled to engage. 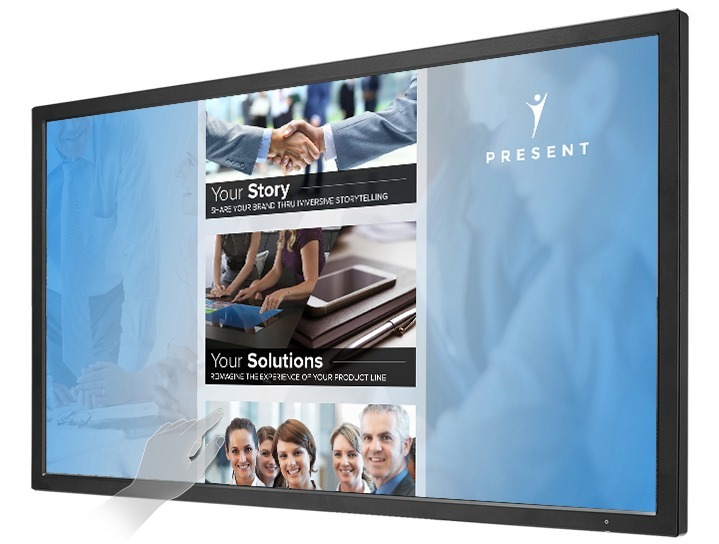 So when the other 99 booths next to you are delivering company, product, or solution information via print brochure or passive signage, interactive technology offers a great opportunity to stand out from the crowd. The question you have to ask yourself is simple. Do you want to keep offering out the standard collateral like brochures and product spec sheet? The type of information that will most likely get throw in the mix of 100+ other pieces of collateral. Or would you prefer to have prospects learning about your solutions and fully absorbing your messaging when the craziness of the show has ended and they can consume the information from the comfort of their home? For the exhibitor this is a great value add to their list of pre-engineered solutions. This is an upgrade from print or passive signage, to fully immersive product/solution showcase with integrated business intelligence and lead capture. Until now there has yet to be a better feedback loop that is driven by the attendee’s interaction with content. Interaction is being tracked, information is consumed, interest is sparked, and leads are being generated. All of this is being made possible through our simple yet powerful touch based applications that can be run on just about any Windows PC and full HD touch monitor.